I lurked for a few days but I've joined now so I'm no longer a lurker. And a big hello from the great city of Sheffield In South Yorkshire. Hello to everyone! I have been a fan of this site since it was started (1999). I am 23 and I love anything about the paranormal and supernatural! I look forward to talking about ghostly and scary things with all of you! Until next time, be safe! i recently joined when i noticed i have several spirit orbs in and around my home. this site looks promising that's whey i joined. Orbs are spirits , spirits can have any form .... But that's nice you have friends and welcome . I picked this site because it seem informative and active, I thought the two matched. I'm interested in learning and interacting, reading your stories, sharing mine - everything with people who do have the same interest and maybe belief. Edited by Calmer, 13 February 2013 - 01:01 AM. Edited by WraithZ, 27 February 2013 - 01:22 PM. Welcome! I lurked on here maybe a few months before joining. 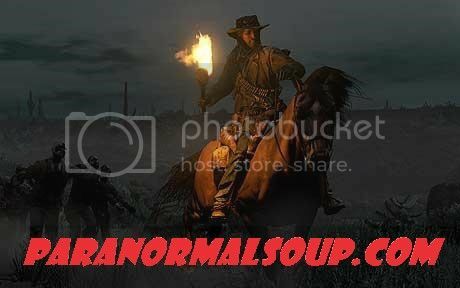 But, I would have to agree, there is more content on here than other paranormal forums. I would if the forum would let me post more than once in a while. Mat k, are you having issues posting? Feel free to PM me here or send me an email at Safire973gstudy@gmail.com. I will help as best I can. I have visited this site in the past, curiosity piqued by my own experiences. I have only now joined in the forums, unable to seriously discuss these subjects with most friends and family. I am not here to uncover the existence of energies or forces outside of our three dimensional existence, my personal experiences have been too numerous to ignore. My problem has been in identifying the source(s) of the manifestations. While most incidents are annoying yet benign, I have also had some absolutely terrifying moments. The latter have been my focus. I would like to find the source(s) and eliminate the possibility of recurrence. I have gotten some good information up to this point, but would like to have a degree of certainty prior to taking any action- so that I do not aggravate the situation. I do tend to write in train-of-thought, and can be a bit wordy; so I will sign off, having given my motivation for joining these forums. I didn't lurk at all. I found the site and just joined it! I like it here! Thanks for the warm welcome. I came by this forum through a search about orbs in photos. I have numerous photos taken in the building I'm caretaker for. Some are quite astounding. I know the history of the familie(s) who lived here. A lot of "good" history. Nothing malevolent, but definitely a presence. My name is Tom. I'm from Illinois, just outside of Chicago. Near Ohare. Thanks again for welcome. Looking forward to sharing. Edited by osiris, 23 September 2013 - 08:37 PM. Hello everyone, My name is Noraima I'm a mom three daughters 20,12 and 9. My first experience with a ghost was at the age of 12, ever since I guess I can safely admit that I have been and I am sensitive to ghosts. I've had bad experiences and good ones. I joined this group so I can meet and talk to others who've had same experiences and are looking for some answers about this subject. Thanks for for letting share with you. Welcome to the board PM34! Nice to have you with us! Hope you enjoy it here! !